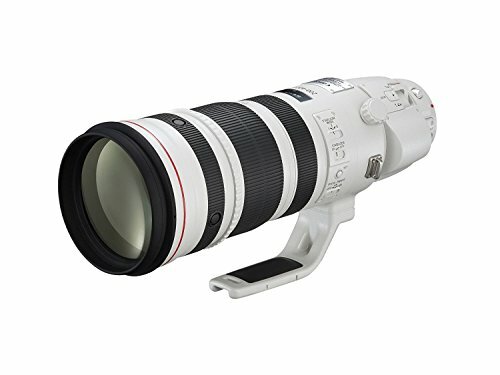 Telephoto zoom lenses can be found all over the market, but searching for the best optics can be a stressful task, especially if you want to use it with your Canon EOS 5Ds or 5Ds R. These high-end DSLRs are known for their excellent performance, durable build quality, and their wealth of features. On that regard, many photographers are known to look for ways to enhance their craft even further. The path towards perfection is an endless one, and many photographers know it won’t come. However, it doesn’t mean they choose to quit halfway. With the right telephoto zoom lenses at your disposal, your photos might not be perfect, but it’ll be gorgeous nonetheless. Quality telephoto zoom lenses, when attached to a Canon 5Ds or 5Ds R, can produce amazing results. Many types of photographers can benefit from quality telephoto zoom lenses. You can get the composition, effects, and level of detail for your images with these lenses when attached to your Canon EOS 5Ds or 5Ds R. If you like to shoot portraits, architecture, wildlife, nature, or even macro, having telephoto zoom lenses at your disposal can significantly assist you in getting the shot you require. We’ve listed some of the best telephoto zoom lenses for the Canon 5Ds and 5Ds R to help you come up to a sound decision as to which lens to purchase next. 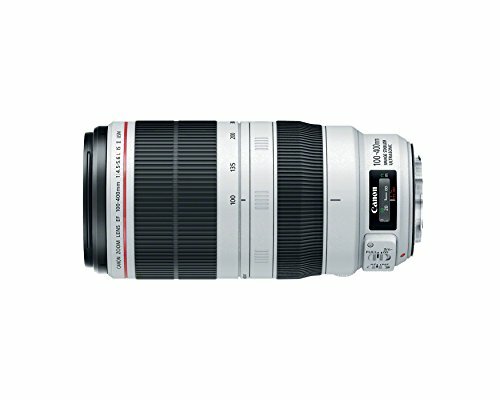 The Canon EF 100-400mm f/4.5-5.6L IS II USM is unlike other telephoto zoom lenses on the market because of its compact construction. It delivers excellent performance when shooting portraits, action, sports, and wildlife photos. When shooting in the right conditions (and the correct settings on your Canon 5Ds or 5Ds R), you can get creamy background blurs that properly isolate the subject from the background. This particular lens takes advantage of a rotation-type zoom ring. With this element, it allows for more accurate compositions as opposed to using lower quality telephoto zoom lenses on the market. It can even help you get amazing photos as opposed to using the standard 18-55mm kit lens. The lens’ construction is also highly durable while maintaining just the right amount of balance. 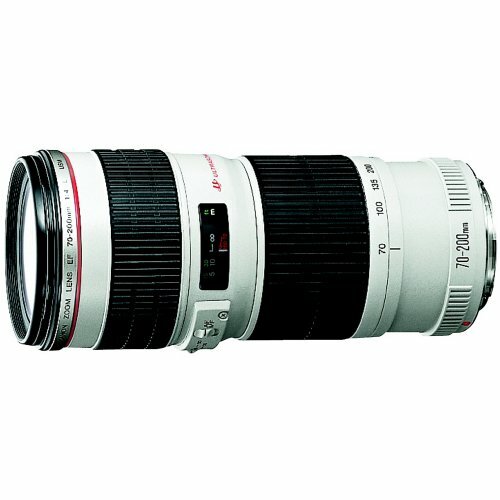 If sports photography is your passion, then consider getting the Sigma 150-600mm f/5-6.3 DG OS HSM. It can also be used for other types of photography, but shooting sports or action shots are where this particular lens truly shines. It makes use of its maximum aperture range of f/5 to f/6.3 to deliver stunning images with plenty of detail. It also uses a Hyper Sonic Motor (HSM) Auto-Focusing system to deliver accurate and near-silent focusing. As such, if you’re using the lens for videography purposes, the lens won’t make much of a sound when it’s trying to focus on the subject. The Sigma 120-300mm f/2.8 DG OS HSM comes from a well-known third party lens manufacturer, and it offers a built-in optical image stabilization feature, along with a wealth of other useful functionalities. When you attach it to a Canon 5Ds or 5Ds R, this particular lens can shine, especially when shooting at wide open. It brings you subjects that are pin-sharp while the rest of the image becomes a nice blur. 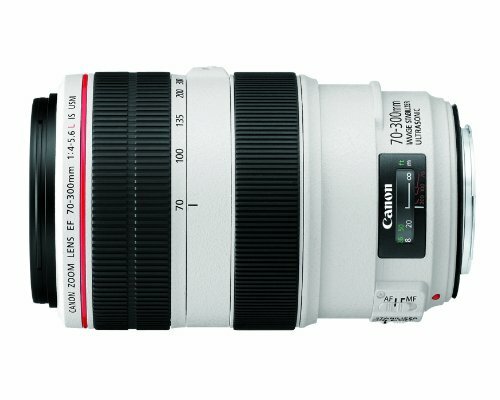 The Canon EF 70-300mm f/4-5.6L IS USM is part of the brand’s L-series of high-end telephoto zoom lenses. For many photographers and photo enthusiasts, just knowing that this is part of Canon’s L lens series is enough to know that you’re going to get amazing results when using it. It is a part of the most exemplary telephoto zoom lenses because of its performance and builds quality. Also, you can’t go wrong with its maximum focal length. At 300-millimeters, you can be far away from your subjects and still get the shot. It also has a focus adjustment feature wherein you can manually adjust the focus even after it’s done auto-focusing. Therefore, if you want to compose your shot even further even after the lens has already “locked on” to your subject, then you can do so with this lens. For many photographers, just seeing a lens coated in a black-and-white design is enough to tell that it’s a great lens. As such, one look from afar and you’ll know that the Canon EF 70-200mm f/4L IS USM can perform with flying colors as it joins the ranks of the top telephoto zoom lenses on the market. It uses fluorite UD elements to bring great color balance and just the right amount of contrast in your photos. It also has an Ultra Sonic Motor (USM), so auto-focusing is quick, accurate, and silent. It even has a built-in image stabilization feature to help you get pin-sharp images, even when you’re using it at its maximum focal length while you’re using your Canon 5Ds or 5Ds R.
The Canon EF 200-400mm f/4L IS with 1.4x Extender is one of an ideal telephoto zoom lenses to use with your Canon 5Ds or 5Ds R as it is a high-performing model with a super-telephoto zoom function. It has a built-in image stabilization feature with three modes, them being planning, standard, and exposure only. It is an excellent lens for different types of photography, such as nature, wildlife, portraits, or even when you’re using it for taking macro photos. But when you’re using it with macro photography, you might want to be far from your main subject because of its 200-millimeter minimum focal length and its minimum focusing distance of 6.6-feet. If you’re planning on purchasing telephoto zoom lenses for your Canon 5Ds or 5Ds R, let the items listed here be your guide to help you reach a decision. With a quality telephoto zoom lens, you can take photos of your subjects without them being the wiser.